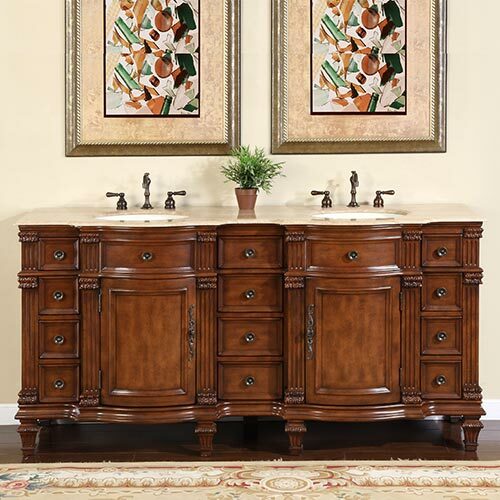 The 72" Ficarra Double Bath Vanity offers a look that's truly remarkable - with beautiful carved columns and beveled details that gives it a regal appeal. The handsome cabinet sits beneath a Roman Vein-Cut Travertine counter top, which has been pre-drilled for easy faucet installation. It also includes two ivory ceramic undermount sinks. 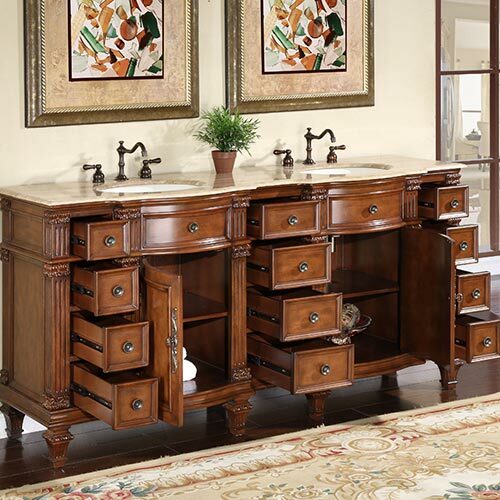 Twelve fully-functional drawers and two single-door cabinets provides opportunity to stay organized. Faucets are not included.